I can't tell you how many people recommended this book to me before I actually chose to read it. I went on a small WWII reading kick a while back and needed a detox . . . but the peoples demand what the peoples demand! So I finally picked this book up from the library. I'm always a bit suspicious of top sellers. Do I really want to read what the typical American wants to read? Sometimes the literary snob in me raises her nose and shakes her head no. HOWEVER . . . this book was fantastic. Congrats to the general public for putting a great book on all sorts of "must read" lists. Each chapter depicts the parallel stories of a blind, Parisian girl and a German Nazi Youth. Their paths cross in small town France at the end of WWII. 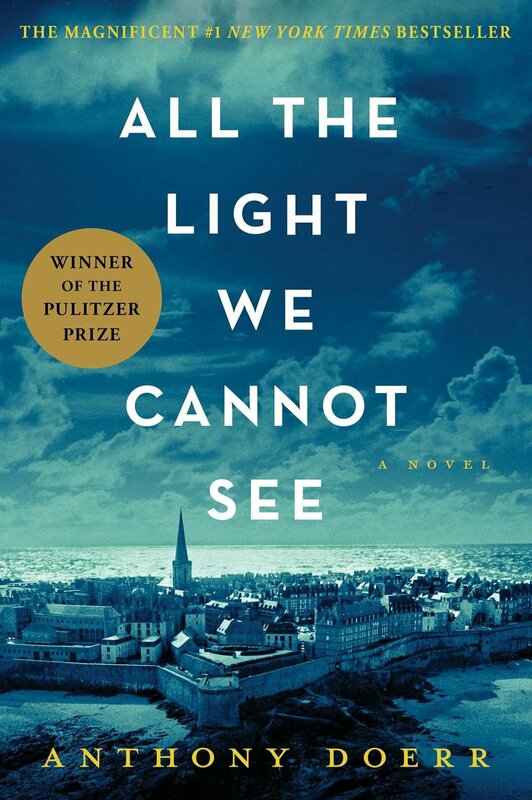 Anthony Doerr's writing is emotional and strikingly real. It's as if each important detail is a flower and Doerr takes the time to gently water it so the petals unfurl one by one. He somehow manages to illuminate the beauty of a seaside village while simultaneously addressing the emotional struggles of those on both sides of World War II. I give this book five stars out of five. You'll feel better about yourself for having read it.